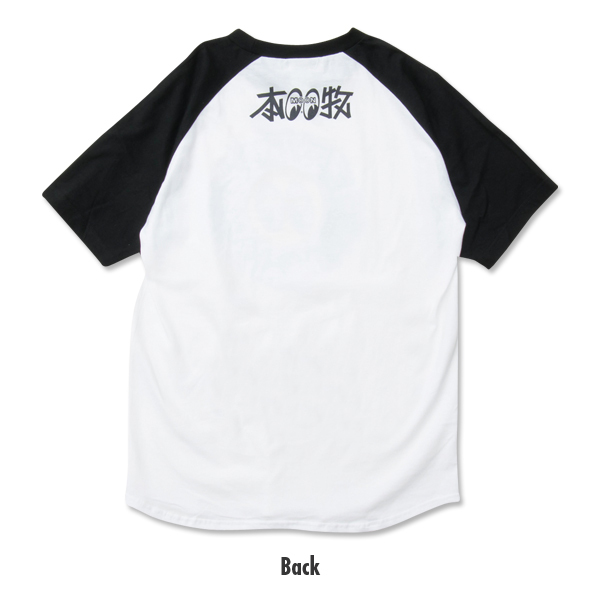 横浜 ムーンアイズ 本牧(Yokohama MOONEYES Honmoku) raglan t-shirt that makes you look casual and active. 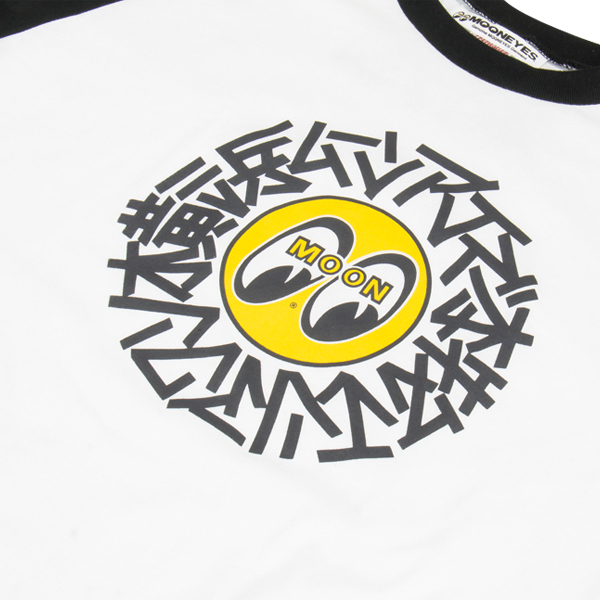 wording is surrounding the MOONEYES Eyeball logo. 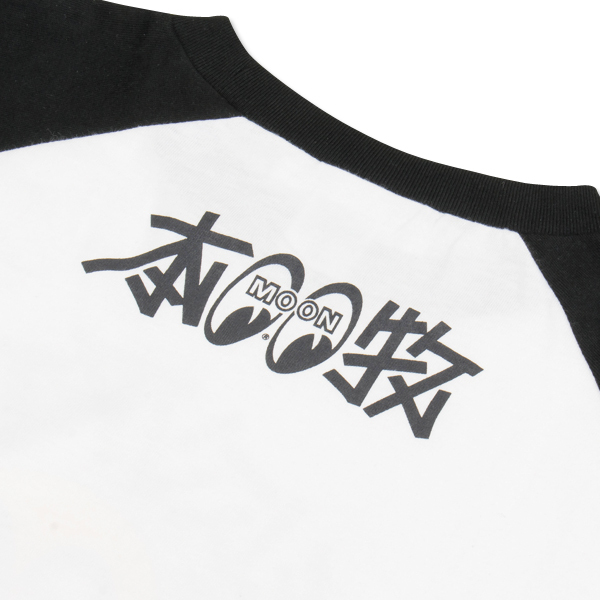 It is a rare design using Japanese Katakana and Chinese Charcter (Kanji). Although, it is simple the Japanese wording has an impact. On the back there is running style 本牧 (Honmoku) printed as a stitched ornament. that images MOONEYES in Japan. 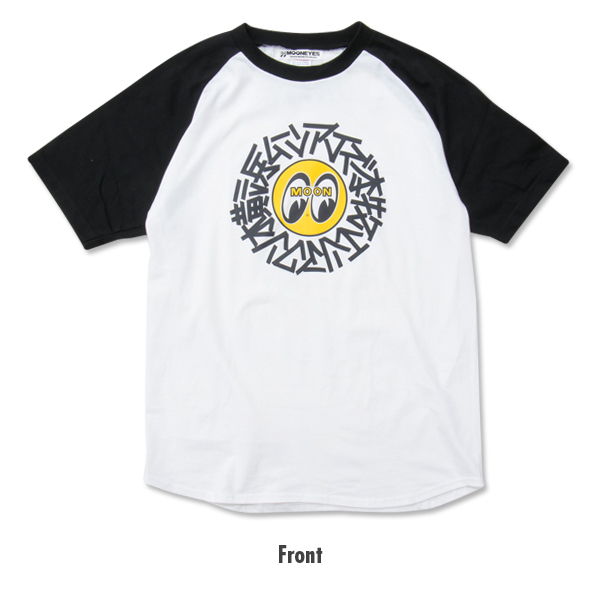 MOONEYES offers California Style in Japan but, this item appeal MOONEYES in Japan. You can appeal Honmoku Yokohama MOONEYES and perfect for sourvenir.